Everything is 640px wide. (Note, whenever I reference 1px (one pixel), I'm referring to how CSS deals with pixels. 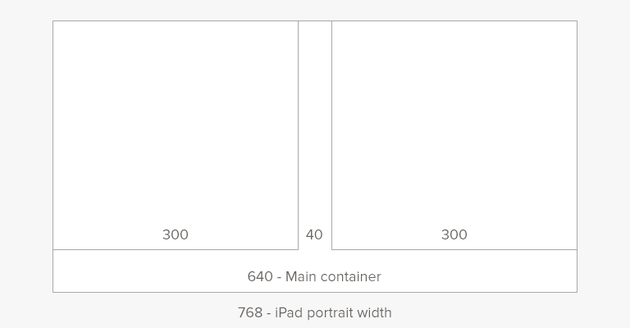 On a Retina device, 1px in CSS is actually 2px on the screen.) Nothing is wider than 640px ever. This makes supporting the desktop and iPad work with no modifications. As much as possible is in one column and the content is flexible. Sometimes, the best way to lay something out is columns. There are never more than 2 columns. 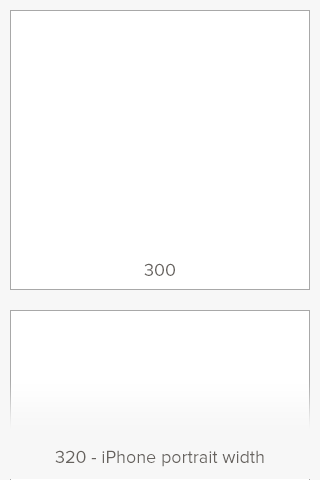 They are always 300px wide (with a 40px gutter). This makes being responsive really easy. I simply make the columns stack instead of floating next to each other. I really like having only 2 states of the grid. It's either next to each other or stacked. This makes developing and testing on devices go much faster. I also find the constraints quite nice when designing. This is the grid system that I use in Cheddar, my projects page, and literally everything else I do. Not all of them use columns, but everything is 640px. I've thought about open sourcing it, but there is so little code it almost seems silly. Maybe once Cheddar launches, I'll put something together and toss it on GitHub. This is really amazing to hear. After much thought and deliberation, we decided to open parts of RubyMotion. We believe that this will make it even easier for the community to contribute to and extend the RubyMotion platform, leading to a better RubyMotion for everyone. Today, we are opening the “lib” directory of RubyMotion, which contains the build system, project Rakefile, the configuration object and also the project vendoring system. Check out the HipByte/RubyMotion repository. I can't wait to see the community start improving this already growing platform.